BEAUTIFULLY DECORATED FIVE STAR RESORT STYLE PALM BEACH 2BED 2 BATHROOM APARTMENT FOR RENT. THIS UNIT COMES WITH A COMPLIMENTARY WEEKLY CLEANING SERVICE AND BASIC CABLE. 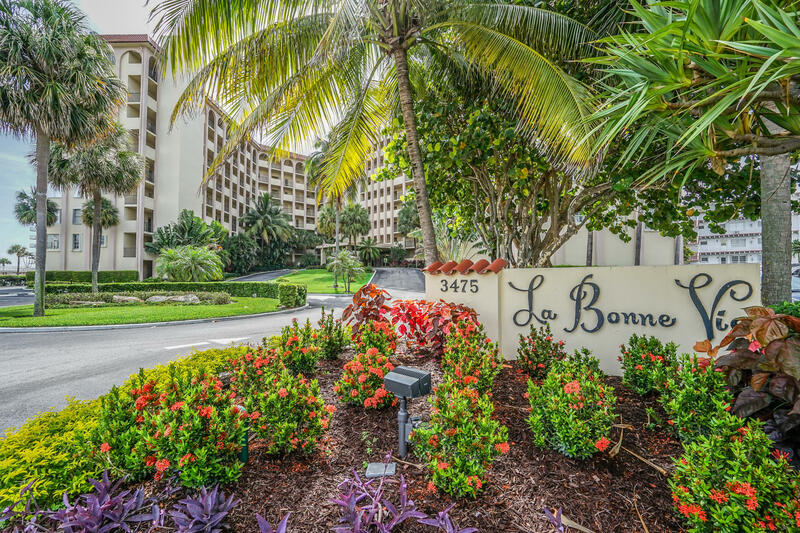 LA BONNE VIE SITS BY THE OCEAN AND IS MINUTES TO WORTH AVE, BREAKERS HOTEL, FINE RESTAURANTS, KRAVIS PERFORMING CENTER AND ART GALLERIES. THIS UNIT IS ALSO AVAILABLE SEASONALLY NOV TO MAY @ $4500 PER MONTH. Move-in Requirements: Association Approval. First, Last And Security Required To Move In.